Copyright © 1996 Balmoral Software (http://www.balmoralsoftware.com). Portions copyright © 1996 Cyberflix, Inc. All rights reserved. Republication, redistribution or conversion is expressly prohibited without the prior written consent of Balmoral Software. 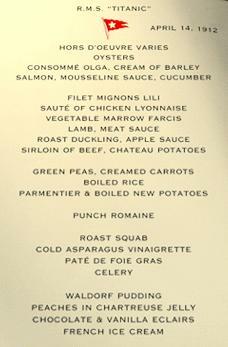 Contents subject to change! For the latest information, see http://www.balmoralsoftware.com. 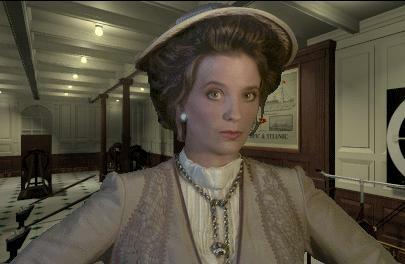 Titanic: Adventure Out of Time provides total immersion in a historically-accurate environment onboard the ill-fated steamship in 1912. Playing a fictitious British Secret Service agent, your mission is to obtain several pieces of evidence that, if they fall into the wrong hands, may significantly affect the outcome of world events just prior to World War I. 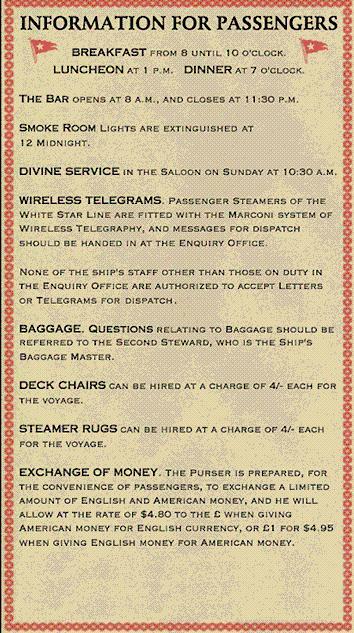 In order to find these items, you'll need to explore the many nooks and crannies of the White Star steamship. An optional "tour" feature of the game allows you to explore the ship without game constraints (and without a savegame capability), and even by itself could justify the purchase of the game for Titanic buffs or those just interested in what the ship must have been like. 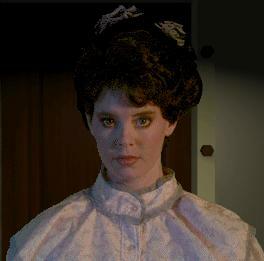 An important characteristic of Titanic's gameplay is its multiple plot threads, ultimately offering several different endings to the story, depending on your success in obtaining pieces of evidence. 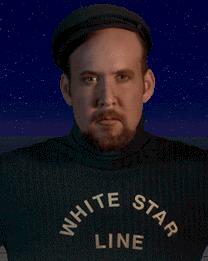 The latter part of the game, occurring during the actual sinking of the Titanic, must be completed within the corresponding time limit of about 55 minutes. While it's not difficult to complete the game within this time limit, it is more of a challenge to achieve the "optimum" ending. As time moves forward throughout the game, animations of a sailing (or sinking) Titanic are interspersed. Graphics are uniformly high in quality, with a great deal of effort apparently expended in obtaining accurate representations of Titanic fixtures, layout and overall appearance. 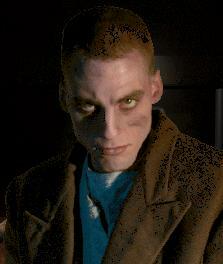 The game is played from a first-person perspective, and characters you encounter are depicted by superimposed live-action video using a relatively low frame rate. This tends to make the characters' movements rather jerky, but doesn't really present an obstacle to game enjoyment. The interactions with the various personalities in the game assist in setting the overall tone of the gameplay and help to make you believe you're actually onboard the Titanic during its maiden voyage. Game action takes place within a partial screen, with icons for a ship's map, game control, inventory and a watch filling up the remainder of the screen. In some cases, the game locked up during a dialog close-up when a screen saver activated, so you may need to disable your screen saver while playing the game. Music is fairly atmospheric and seems appropriate for the 1912 time period, but segments are extremely short and consequently end up sounding very repetitive (the game thankfully has an option in which theme music can be silenced). 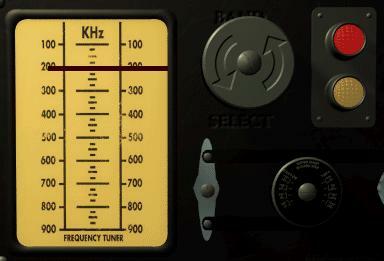 Sound effects are excellent everywhere and add a great deal to the immersive gameplay. 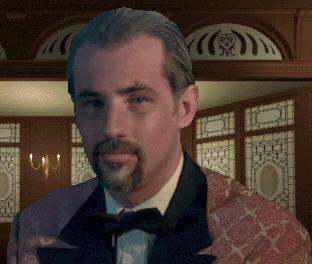 Titanic's gameplay engine is similar to that used in Timelapse , another game from GTE Entertainment. One difference in Titanic, apart from using only a partial screen, is that there are no mouse-cursor alternatives for movement - all navigation must be performed with the keyboard (and no type-ahead buffer is available). It would have been nice to have had at least a backup feature using the down arrow key, as was available in Timelapse. Saved games are file-based using the Windows interface, and as a result provide both an unlimited quantity and an overwrite warning. 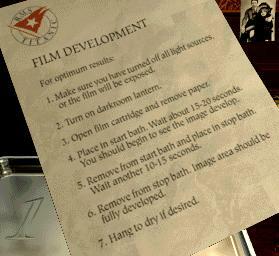 As with Timelapse, Titanic has the extremely-irritating requirement to re-insert CD #1 whenever the game is restarted. After starting Titanic, it is also necessary to escape through several introductory and startup screens in order to (finally) reach a game-restore point. We had to go through so much swapping that the second CD eventually got scratched and became almost unusable. This may have been exacerbated by the lack of a proper CD storage case provided with the game (as was a problem with Timelapse as well). These flaws seriously compromise an otherwise superior product. Once started up, Titanic is a fun and exciting game to play. 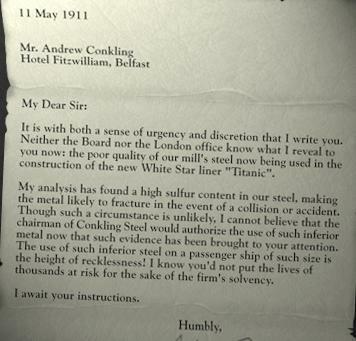 It's interesting to note a Hindenburg (zeppelin) ticket in the initial sequence - a DreamFactory game based on that disaster would certainly make a fascinating sequel to Titanic. 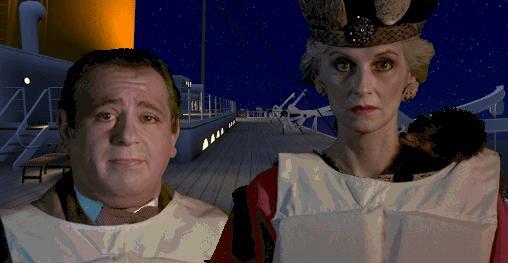 Titanic can be played in many diffent ways, each with its own plot elements and character interactions that might not be repeated in other gameplay sequences. This walkthrough illustrates one way of reaching the "optimum" endgame, but does not purport to indicate all possible outcomes or individual event sequences. Your mileage will undoubtedly vary. 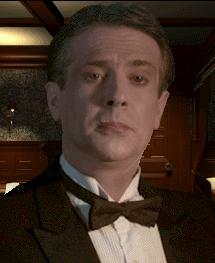 The items in your apartment, along with the backstory in the Titanic game package, indicate that you failed to complete your intelligence mission on the R.M.S. Titanic 30 years earlier. The bomb explosion transports you back in time to April 14, 1912, the night of the Titanic sinking, where you'll be given another chance to complete your mission successfully. 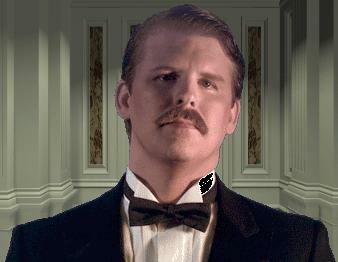 After some introductory scenes and credits and a CD change, you arrive in your cabin (C-73) onboard the Titanic. 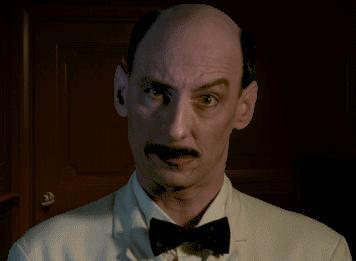 Move forward, answer the door and talk to your steward, Smethells. If you request his help, he'll explain details of the game interface. He'll give you a message from Penny Pringle commanding that you meet her by the "Electric Camel" (in the gymnasium). Smethells will also give you a map of the ship. Move R2 F L and pick up your bag on the bed. This is where you'll keep the inventory items you pick up during gameplay. To check inventory, click on the bag icon next to the life preserver. For a close-up of an inventory item, click on the item of interest, then click on the magnifying glass inside the bag. Move L3 F L2 F R2 and pick up the gold pocket watch from the dresser. Zoom in on the dresser and open its center drawer. Read the note from "Georgia" requesting that you meet her on deck tonight. Zoom out from the dresser and move L3. on the table in your cabin. 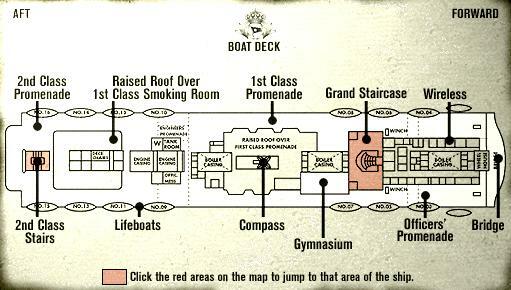 Use your map to jump to the Grand Staircase on the Boat Deck, then move L F L O F R O F into the Gymnasium. Click on your Secret Service contact Penny Pringle. She's very bossy, but shows you a picture of your nemesis, the German Colonel Zeitel and explains that your mission is to obtain a book, the Rubaiyat of Omar Khayyam (not really written in English, of course). Zeitel is traveling with Willi von Haderlitz and sometimes may be found in the Cafe Parisian. 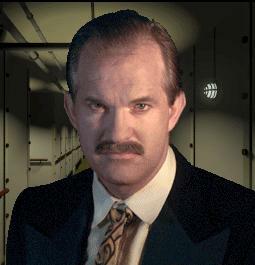 Your first task is to gain access to the ship's wireless room from Officer Morrow, and read Zeitel's coded telegram using the cryptograph in your trunk. 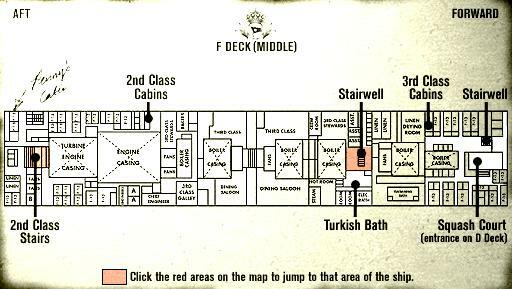 Jump to the Second-Class stairs on F Deck, then move O F3 L O to Pringle's cabin (F-34). 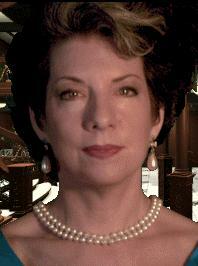 She suggests you try to find a way down to the lower decks and intercept the Rubaiyat. Tell the crewman you'll try again. Use the instructions above to get the turbine output gauge into the green zone and quiet the racket. Move O F L2 F R2 F3 R F L O F3 O F3 O F2 into Boiler Room 3. Standing on the catwalk is Vlad Demonic. If you pass him and move R F L2 to coal chute 4, you can get the Rubaiyat from the coal chute control panel (and even befriend a fireman by calling him a landlubber), but Vlad will kill you when you try to go back up to the catwalk with the book. Instead, ask Vlad about his troubles and offer to get him a package from Sasha Barbicon. Move L2 F O F3 O F3 O F R2 F L2 F3 L F R O F3 O F3 R F3 L O F2 to an area where you can jump to the Grand Staircase on A Deck. Move F2 R F2 O F4 L F R O to the cabin of Sasha Barbicon (A-14). Pick up a package of clothes for Vlad. 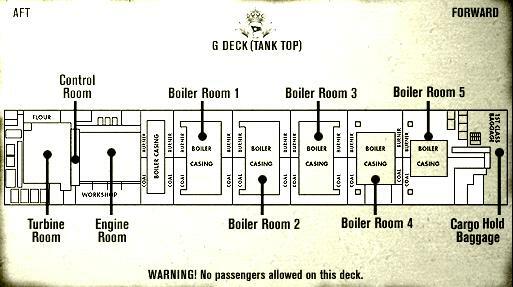 Jump to the Second-Class stairs on F Deck and move O F2 R F L F L 6(F R) F O F R2 F3 L F2 O F3 O F L2 F R2 F3 R F L O F3 O F3 O F2 back to Vlad's location in Boiler Room 3. Give Vlad the package. You don't get anything from him in return, and he's obviously already picked up the Rubaiyat from the coal chute. Move F O F3 O F3 O F6 O F R4 F2 L2 F O F to the Forecastle Deck, where you can jump to the Aft Grand Staircase on C Deck and move F2 R F O F2 L O to the cabin (C-78) of photographer Eric Burns. Ask to see his work, then find out that his wife is wearing a blue hat. Jump to the Grand Staircase on this deck, where you'll be able to see her in the background. Move L F R L2 O F7 R O back to Burns' cabin and inform him as to the whereabouts of his wife, then suggest he pay more attention to her (e.g., leave so you can nose around his cabin). Drag the photos to your bag of inventory. 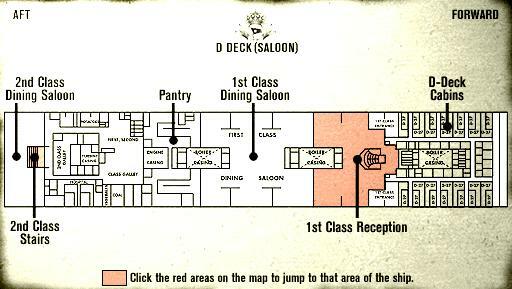 Jump to the Second-Class stairs on F Deck, then move O F3 L O to Pringle's cabin (F-34). Tell her you haven't found the Rubaiyat yet, but show her the photographs you took from Burns' cabin. Exhaust the rest of the dialog with her, then ask what to do next. She'll suggest you concentrate on finding the painting by getting a look at the purser's cargo manifest. Jump to the Grand Staircase on C Deck, then move R F O F O to talk to the purser. Ask him about Mr. Thayer, then offer to help. Jump to First-Class Reception on D Deck, then move F R and zoom in on the wicker chair. Pick up the gold-and-red cufflink wedged in the back of the seat. Jump to the Grand Staircase on C Deck and move R F O F O back to the purser's window. 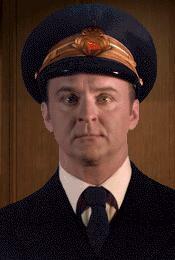 Tell the purser you found Straus' cufflink, then filch the cargo hold keys from the red panel inside the office. Jump to the Grand Staircase on A Deck, then move F2 O F R2 F R F R2 F L2 F2 R F O F2 R2 O F2 O F3 R2 O F2 R through the Forecastle Deck into the Cargo Hold. Zoom in on the Renault automobile and use the switch to turn on its headlights. Zoom out from the automobile, move L2 and zoom in on the Lamke & Buechner crate. Unfortunately, the painting is missing. Zoom out from the crate, then move L F O F L2 F3 O F3 L2 F O F and jump to the Grand Staircase on C Deck. 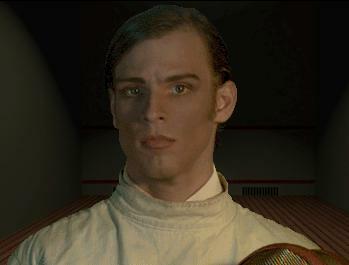 Move R and listen to Smethells tell you that von Haderlitz wants to meet you in the squash court for a bit of fencing. Jump to First-Class Reception on D Deck, then move F2 L2 F2 R2 O F L F4 L F R O F3 R 3(F R) O F into the Squash Court. Go ahead and fence with Willi von Haderlitz. He makes allusions to loyalties outside Germany. Continue additional matches until he has nothing new to say. It's possible to occasionally make a point against him by dragging the mouse cursor over his torso. Leave the Squash Court. Jump to the Grand Staircase on C Deck, move R, talk to Smethells and get a ring from Willi. Jump to First-Class Reception on D Deck and move L2 F3 L O F L F3 R F R O to Claris Limehouse's cabin (D-19). (If you run into the Gorse-Joneses, they may tell you Leyland Trask wants to meet you "where Honor and Glory Crown Time", a reference to the carved wooden clock on the Grand Staircase on A Deck.) Claris will tell you about Willi's notebook. Go ahead and give her Willi's ring. 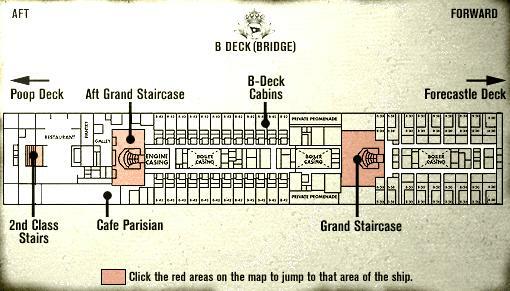 Jump to the Aft Grand Staircase on B Deck and move F2 O F2 R F2 into the Cafe Parisian. Click on the red tablecloth and pick up a pack of cigarettes stuck in the wall lattice behind the chair. If desired, move L2 and click on one of the windows to see a cool animation of a shooting star, with icebergs in the distance. 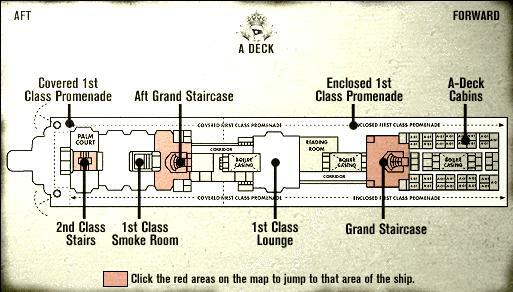 Jump to the Aft Grand Staircase on A Deck, then move L F2 L2 O F into the First-Class Smoking Room. Give the cigarettes to Max Seidelmann and listen to him relate a story about Willi hiding something in a Titanic smokestack. 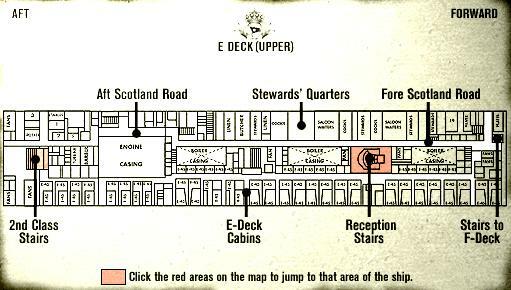 If desired, jump to the Aft Grand Staircase on B Deck and talk to Daisy Cashmore (in the blue dress). Ask her to get to the point, then agree to grant her a favor. Jump to the Grand Staircase on C Deck, then move R F O F O and ask the purser to check the passenger list for someone with the initials G.Q.C. Jump back to the Aft Grand Staircase on B Deck and relay George Quincy Clifford's name to Daisy. In return, get a message from Andrew Conkling asking you to meet him in Scotland Road. Jump to the Second-Class stairs on E Deck, then move F O F R F2 L F R O F into Scotland Road and talk to Andrew Conkling. Ask why he wanted to meet, then ask about his reference to discretion. Talk to him some more and learn about a letter one of his servants stole from him. 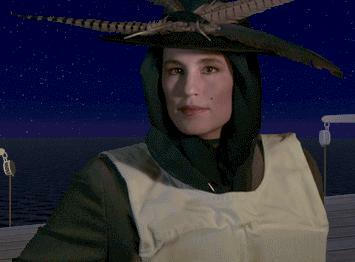 Jump to the Second-Class stairs on B Deck, then move F O F L2 F2 R F2 R2 F and talk to Shailagh Hacker on the poop deck. Ask how much money the Hackers want for the letter, then tell them you'll have to ask Conkling. 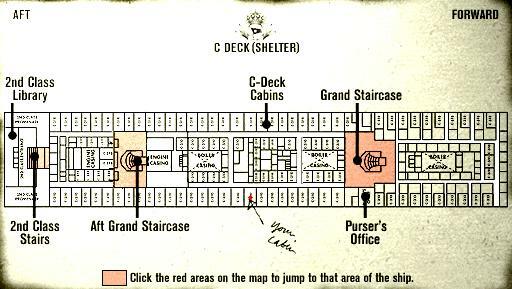 Jump to the Aft Grand Staircase on B Deck, then move F2 L F O F5 R O F2 into cabin B-59. Talk to the Conklings and learn more about their sordid lives (and feather allergies). If desired, jump to the Reception Stairs on E Deck, then move O F R F2 L F R F2 R F L O to Shailagh's cabin (F-59) and learn more about her baby's parentage and Conkling's steel. 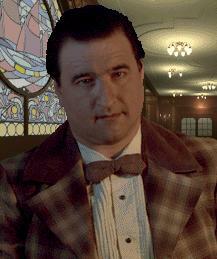 Another optional activity is to jump to the Second-Class stairs on the Boat Deck, move L2 O F and talk to Reverend Troutt. When he starts fretting about von Haderlitz's murder, ask him to tell you more and get a prayer card from him. Jump to the Second-Class stairs on the Boat Deck, then move R2 O F R3 F and talk to Georgia Lambeth (in the light-blue dress). Tell her you were detained, then ask about Sasha and get a diamond necklace from her. Jump to the Aft Grand Staircase on A Deck, then move R2 F R2 O F R2 F R F to Georgia's new location at the aft end of the A Deck promenade. Talk to her again about her finances, then trail her to her cabin (B-70) by jumping to the Aft Grand Staircase on B Deck and moving L F O F2 L O F2. 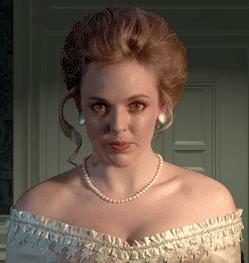 Talk to her and her husband Charles. Jump to the Aft Grand Staircase on A Deck, then move L F2 L2 O F2 back to the First Class Smoking Room. Talk to Charles (in the tuxedo), and ask him how he's doing. Ask him about needing money, then be sure to hang around while he has another drink. He'll then tell you a secret about Georgia's necklace. Jump to the Grand Staircase on A Deck and move F2 R F2 O F4 L F2 and talk to the seaman. Zoom in on the electrical panel and the end of the stub hallway and open the panel's door. 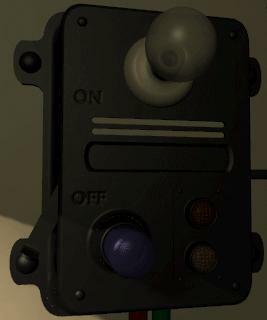 Click the top switch to kill electricity to Sasha's cabin (A-14). Zoom out and wait until you hear a cabin door opening (Sasha leaving his now-darkened cabin). Zoom back in on the panel and restore power using the top switch. Zoom out and move R2 F L O F2 into Sasha's vacated cabin. Zoom out from the doll, then click on its head three times to open it up. Click on the base of the doll and remove the (genuine) diamond necklace inside it. While still zoomed in on the doll base, open up your inventory bag and remove the fake necklace at top center. Drop it into the doll base as a replacement (otherwise Sasha will discover your theft and shoot you). Zoom out from the doll and bureau, move R4 F O and listen to Sasha excuse your presence in his cabin. Jump to the Second Class stairs on F Deck, then move O F2 R F L F L F 6(R F) O F R2 F3 L F2 O F3 O and tell the crewman you can fix his turbines again. 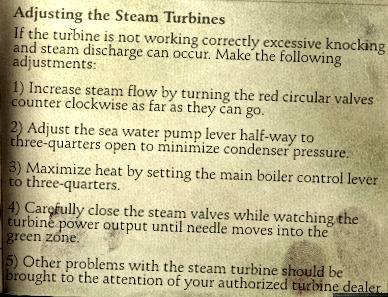 Use the instruction manual to move the turbine output gauge into the green zone. Move O F L2 F R2 F L2 F L 4(F R) up the stairs in the Engine Room. Move F and engage Vlad in a fistfight (the knockout-gas pen doesn't work on him for some reason). Like the fencing episode earlier, this contest is difficult to win, but the outcome doesn't matter - when it's over you "come to" and Vlad is gone, apparently without stealing anything from you. 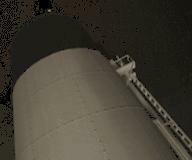 Move F2 through the access tube into the smokestack. Use the ladders to go up 10 levels to the top of the smokestack. At each level, move either left or right to the next ladder up. Ladders are randomly blocked on each level, but you should be able to find a way up without too much trouble. To go back down a ladder in case you are completely blocked on a level, use the down arrow on the keyboard. A strategy that seems to work more often than not is to use the first ladder to the right unless blocked; otherwise, use the ladder to the left or go back down one level. From the top of the smokestack ladder, move R2 and pick up Willi's notebook lying on the platform. If you don't see the notebook, walk around the gangway until you do. 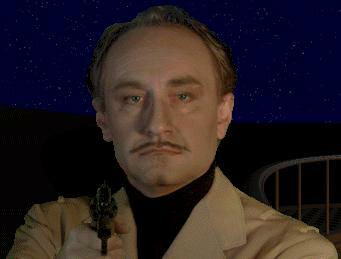 As soon as you pick it up, Colonel Zeitel confronts you at gunpoint, demanding that you hand over the notebook. 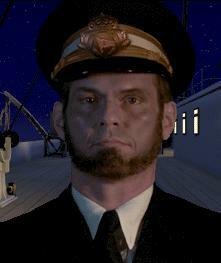 After you exchange some dialog with him, you'll see an animation of the Titanic hitting an iceberg. Afterwards, you have the choice of giving Zeitel the notebook, or something else from your inventory. If you give Zeitel the knockout-gas pen, you'll be able to keep the notebook. However, once you go back down the smokestack ladder, Vlad will knock you out with a very large wrench and take the notebook from you anyway (and he already has the Rubaiyat). So the simplest solution is to hand over the notebook to Zeitel and let him try to shoot you (even at pointblank range, he's a poor shot). After a CD swap, you'll wake up in your cabin. 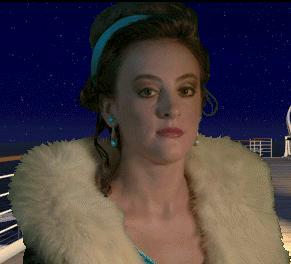 It's 1:05 AM, and the Titanic is sinking! After you answer your door and talk to Pringle, you'll discover that you must get the notebook, a painting, the Rubaiyat and the diamond necklace off the ship. The rest of the game plays under a time limit - you must obtain these pieces of evidence and get off the ship before the last lifeboat leaves at 2:00 AM. To keep an eye on how much time you have left, leave the gold pocket watch icon maximized at the bottom of the screen. Many of the formerly-open passageways on the Titanic, as well as the red-area jump feature, are now closed (but the First-Class lounge has opened). If you follow the gameplay described below and don't skip any animations or dialog, you should be able to complete the rest of the game in about 40 minutes. Set the middle switch to position 3. This starts the clock running; you must complete the following step before the one-minute timer runs out. Set the left switch to position 2, disabling bomb activation by the one-minute clock timer. Wait for the clock to time out and finish ringing. 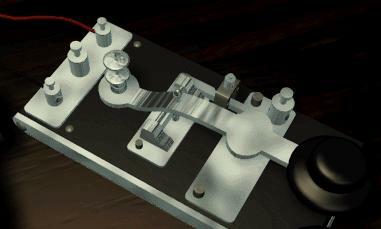 Then, set the left switch back to position 3 to deactivate the key box. Open the box and remove the cabin key. 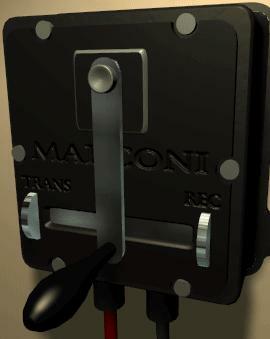 Set the right switch to position 3, disabling the latch contacts. 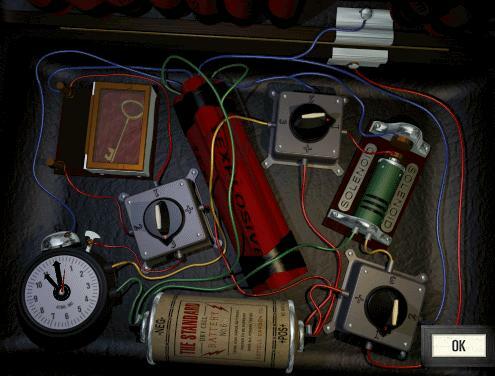 Zoom out from the bomb, move R2 F L and pick up Willi's notebook from the bed. Move R O F R F O F L2 7(F R) F O F2 O F into the First Class Lounge via the Grand Staircase. Talk to Claris Limehouse and get a shawl from her. Move 11(F R) F R2 F O F2 R F L F L 6(F R) F O F down into the turbine room. Move R2 F2 L2 F R 3(F R2) to the lower level of the turbine room, and talk to Vlad. Even though he shows you Lambeth's necklace, he really doesn't have it. Tell him you can get him into First Class using the shawl. At first, he doesn't like cross-dressing, so tell him drowning won't help his cause. Get the Rubaiyat in exchange for the shawl. Move F L2 F L2 F L F R F2 L O F2 L 5(F L) F R F R F L F O F2 L2 22(F L) F L2 O F L F R2 back up to the boat deck and talk to Mrs. Conkling. Tell her the baby's not hers, then threaten to publish the letter. She'll give you the baby in exchange for the letter. Move R2 F R O F R2 7(F R) to the B-deck Second Class stairs. Tell the crewman (again) you'll take your chances, then move 4(F R) to take the baby to Shailagh and get the painting in exchange. Now all you have to do is find a spot in a lifeboat! From Shailagh's location port forward near the bridge, move L2 F5 and get intercepted by the Gorse-Joneses. Accept their offer to get on a lifeboat, then watch the optimum endgame sequence. If you don't get an opportunity from the Gorse-Joneses to get on a lifeboat, you can try at least two other ways. 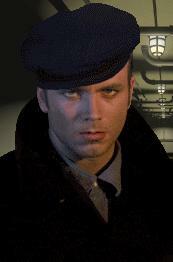 One is to find Officer Morrow and alternately talk to him and walk around until you see an animation of the Titanic's aft end rising out of the water. At that point, you should be able to return to Morrow and get a place on one of the last two lifeboats. Hit on 13 through 16 if dealer's up card is a 7 through 10 or an ace; otherwise stand. Hit on 12 or lower. Count an ace as 1 unless counting it as 11 gives you a total of 18 or higher. Avoid talking to Zeitel as he will try to coerce you into giving up the painting. In the animation of the sinking, note that the Titanic breaks in two and the aft end of the boat settles back onto the surface of the water before it, too, sinks. "Vlad left the sinking ship without the Rubaiyat, nor did he have the real Lambeth diamonds. The Black Hand never got its funds, money intended to finance a wave of terrorism across the Balkans. One of the intended targets: the heir to the Austrian throne, Archduke Franz Ferdinand - his murder might have started a war. We were lucky, we got peace instead." "Vlad left the Titanic with the Rubaiyat. The money garnered from the sale would finance the violent assassination of Archduke Ferdinand at Sarajevo in 1914. The World War followed." "As for the painting, it left with me. The plans proved useless. In the month following the sinking, the War Office scrapped the proposed deployments in a cost-cutting measure. But the canvas - as the only artifact saved from the Titanic, the painting became famous, along with its creator, a rather excitable Austrian named... Adolf Hitler, who makes a lucrative career to this day peddling overpriced Alpine vistas to the carriage trade." "As for the painting, it went down with the ship. Fortunately, Shailagh and the baby survived." 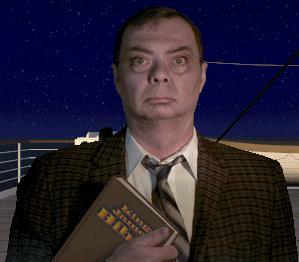 "I left the ship with Willie's notebook. Eventually, it found its way to the Russians. The czar's secret police were grateful, and the names Stalin, Lenin and Trotsky vanished from history. The Communist revolution aborted." "I never retrieved Willie's notebook. The Germans' support of the Russian revolutionaries continued." "I didn't really realize it then, but that night thirty years ago was one of history's most crucial. Though the Titanic carried 1500 to their death, a peaceful world would be their epitaph. Our mission was a success. With no wars or bloody revolutions to derail us, prosperity and progress has flowed into every corner of the globe, bringing humanity a security known only to the privileged few before the Titanic sailed. Today, on April 14, 1942, I am leaving the Service to retire in a world at peace. "One can only imagine how different it could have been - would have been - if we had failed." Several different endings to the game are possible. Some of them are listed below, showing the effect of each piece of evidence. We have omitted a subplot involving a trade of the painting for an antidote to some poison Zeitel has given Georgia. If you neglect to get on a lifeboat by 2:00 AM, you and any evidence you have collected go down with the ship - it's not actually possible to offload evidence to Penny, although she suggests it. "World War I ended in 1918 - a victory for the Allies. Germany was ruined, Russia in revolution. Soon after, Lenin consolidated his power in Moscow. A decade later, Hitler became Fuehrer, promising to avenge Germany's defeat. The rest of the story is... depressingly familiar. Here we are, April 14, 1942, fighting another war - a Second World War. "And I keep wondering... was there something anyone could have done? Something I could have done to stop it? If only the past could be changed..."
Blown up by a German bomb. "Meanwhile, the rest of Europe and America enjoyed a prosperous peace. What did we gain? Complacency. In 1927, Adolf Hitler toppled the Kaiser and channeled the power of German science and industry into weapons production. The democracies, lulled by decades of uninterrupted affluence, ignored him. The Germans have had a six-year lead in the race to unlock the secrets of nuclear fission. "Now that the World War has begun, I wonder if the question is not whether Hitler will use his atomic weapons, but when. If only the past could be changed..."
Vaporized by a German atomic bomb. "However, the Allies defeated Germany and imposed a humiliating peace. But not before the German military convinced a revolutionary Russia to leave the war. Eventually, Lenin replaced the feeble Russian empire with a Communist one. There were totalitarian stirrings in Germany as well. But with no strong man to lead them, parties like the Nazis never amounted to much. With Berlin no longer a check against Communist expansion, the Soviet tidal wave swept over Europe. Today, April 14, 1942 - it's Britain's turn now. "They say we've lost our chains, but it's our freedom that's vanished instead. If only the past could be changed..."
Machine-gunned by a Russian stormtrooper. "With no revolutions disrupting it, the Romanov dynasty continued to rule in Russia. When the Nazis attacked, an old and feeble czar proved no match for Hitler. And neither will we. In 1939, Nazi Germany conquered the Russian empire, before turning its fury against the West. Britain surrendered three days ago. Now we take our place behind Germany in a Europe ruled by hate and National Socialism. "They hung Churchill yesterday. If only the past could be changed..."
Machine-gunned by a German stormtrooper. To help in maintaining bearings on the boat deck, note that ship ventilators open toward the stern of the ship.